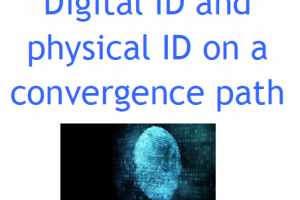 How important is Digital Identity and what is it exactly? A critical problem in cyberspace is knowing with whom one is interacting. The secure transactions industry has developed methods to determine the identity of a person in digital space. Even though there are attributes associated to a person's digital identity, there might be attempts to change these attributes or even identities could be masked or dumped and new ones created. The industry has been developing many authentication systems and digital identifiers that address these issues. Solution vendors are still on an improvement path to reach global and verified identification systems, bringing solutions to privacy and security related to digital identity. So, how important is Digital Identity and what is it exactly?